Want to Support a Charity? ~ We raised 86kg of food and $205 this year! ~ Thank you Safeway for donating a gift card for the BBQ! ~ Thank you Marc for donating Dilly bars again! ~ A men's haircut is $15 & a women's haircut is $30. 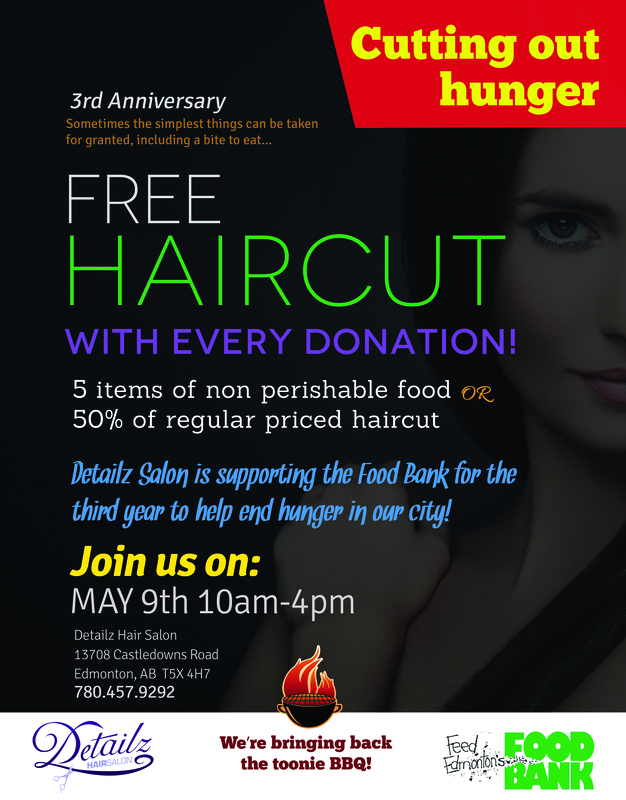 We ask if you don't bring food to donate at least half the price of the haircut you would normally get. ~ There is going to be a barbecue! Get a hamburger & drink for $2 - Donations go towards the Edmonton Food Bank! ~ Year 2 we raised 105 kg of food and $305.50 for the Edmonton Food Bank Thank you for everyone's support!